The most talented instrument-playing robots out there just got an upgrade from Toyota's engineers, who also make some pretty good cars. Toyota's robot quartet consists of Harry (trumpet), Dave (trumpet), Chuck (tuba), and Ritchie (drums). 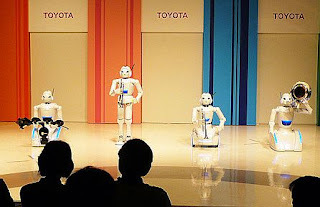 Songs played include: "The Theme of Lupin III", "Moonlight Serenade", "Stompin 'at the Savoy", and "A train to go".Honda's ASIMO may have picked up the baton to conduct an entire orchestra, but Toyota has just outperformed the little guy with its suite of robo-musicians. the part-wheeled, part-bipedal quartet recently performed a concert where they actually played a trumpet, tuba, drums, violin and trombone. 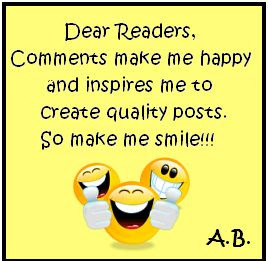 Awesome, but no passion. Just plain machine music. Music with no soul. They get all the notes and the right beat and stuff. It's a little too perfect but it doesn't have the feel or atmosphere of a real band. This video may be entertaining, but I hope that the efforts that go into making these robots aren't just for music, because I don't think that's the kind of thing robots should be doing.